Since it was announced, in 2013, the franchise Fantastic Beasts has been giving an opportunity to the fans to revisit some elements from the movies and books from the Harry Potter franchise. The second movie, The Crimes of Grindelwald, hits the theaters on November 16 and has lots of references to Harry Potter. We listed 18 of them. WATCH OUT: This list has spoilers. The return of the School of Witchcraft and Wizardry to the screens is not a surprise, as it has been shown since the first trailer of The Crimes of Grindelwald, released in March. Its appearance is followed by Hedwig’s Theme, composed by John Williams, which marked the Harry Potter franchise. In the movie, employees of the Ministry of Magic break into professor Dumbledore’s classroom to confront him and, later, a Leta Lestrange’s flashback shows a class very similar class to Remus Lupin’s in The Prisoner of Azkaban, wherein the students face a Boggart. One of the most emotional moments of the movie comes from a dialog wherein Dumbledore talks about her sister, Ariana, whose story is known by [Harry Potter] fans in the last movie of the series, The Deathly Hallows. 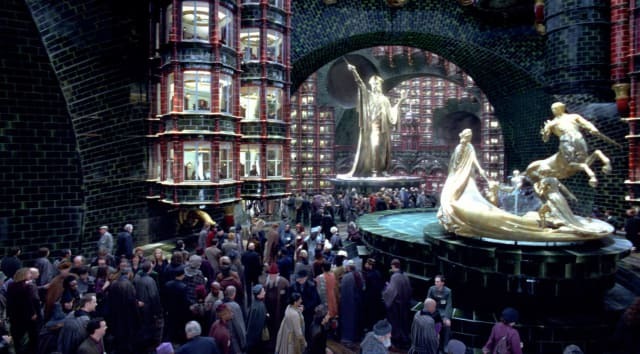 Besides, Dumbledore tells a curious story about his family, which evolves a phoenix. The bird, that rebirths from the dust, has an important role in Dumbledore’s family, what immediately relates to Fawkes, the future Hogwarts Head Master’s pet. Nagini’s revelation in the last trailer of The Crimes of Grindelwald blew the fans’ mind, but in this movie, the character has a very small role. With a few lines, Nagini, who was a Maledictus at that time , seems to have a strong bond with Credence and follow him until the end throughout his search for identity. The alchemist Nicolas Flamel has one of the most unusual participation in the movie. Dumbledore gives his address to Newt in case he needs “a safe place in Paris”, but, in addition to the funny scene with Jacob, seen in the trailer, the centennial wizard also comes up as someone who can help in the main conflict after receiving a mysterious message. 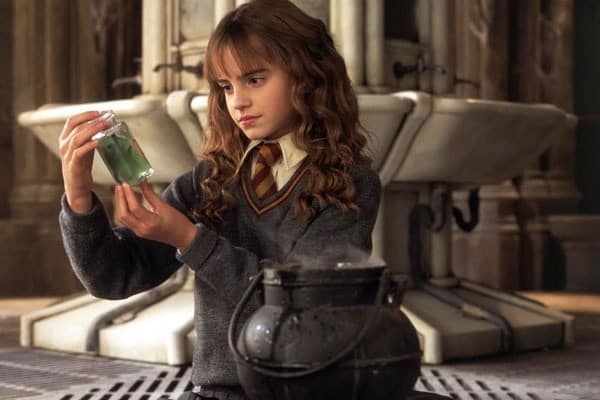 In this movie, the Polyjuice Potion is less efficient than that one prepared by Hermione Granger in The Chamber of Secrets and The Deathly Hallows. Newt Scamander drinks it to assume Theseus’s form and get into the French Ministry of Magic, but the effect does not last very long. In The Crimes of Grindelwald, the mirror, which shows the deepest desires in heart of whom sees it, reveals that Dumbledore has never gotten over his relationship with Gellert Grindelwald. In the scene, Dumbledore sees himself next to Grindelwald, both teenagers, making a pact that would deeply affect their lives. 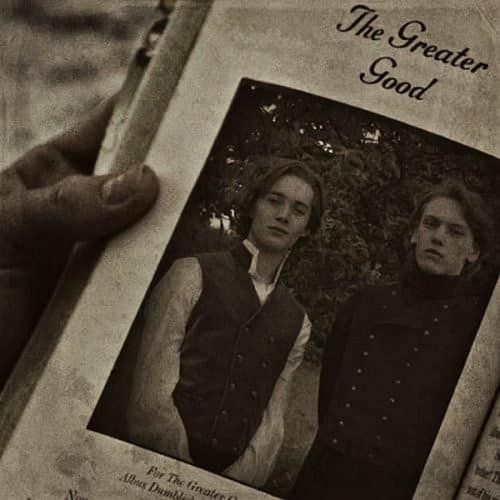 As seen in The Deathly Hallows”, the sentence “For the Greater Good” marked Dumbledore and Grindelwald’s relationship. In this movie, the villain, who is very good with words, uses this excuse when trying to win followers to commit heinous crimes. It was known that Nurmengard was a wizarding prison created by Grindelwald, where he would later remain arrested until found and murdered by Voldemort. However, in this movie, the viewers not only find out its localization but also that Nurmengard is Grindelwald’s residence. The unbreakable vow binds a wizard to a promise, who will die if they break it. In The Crimes of Grindelwald, the mysterious Yusuf Kama reveals that he made an unbreakable vow with his father, promising to kill a person who a Lestrange could love, as revenge. The control curse is one of the Three Unforgivable Curses. Yusuf Kama reveals that the patriarch of the Lestrange Family committed a crime using Imperius. That is why Kama seeks revenge. With dark brick walls, the British Ministry of Magic returns to the big screens at the beginning of The Crimes of Grindelwald. Newt visits it to get an authorization to travel abroad. At this moment, he is invited to work for the Ministry under his brother’s supervision, Theseus. 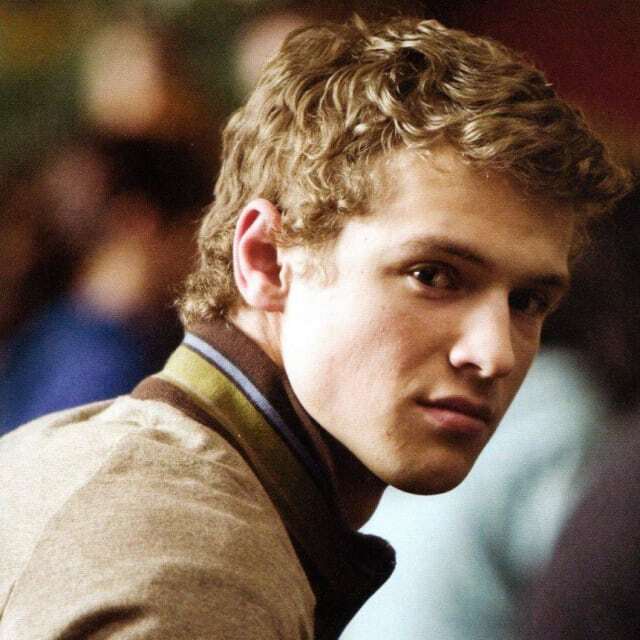 Family name known by the fans, McLaggen appears as a Gryffindor student who takes part in Defense Against Dark Arts class, taught by Dumbledore. The character may be the grandfather or great-grandfather of Cormac McLaggen, a student who went to Hogwarts with Harry. The British Head of the Department of Magical Law Enforcement when The Crimes of Grindelwald takes places is called Travers, another family name known by the fans. Travers was a Death Eater that, according to Karkaroff in The Goblet of Fire, was responsible for Marlene McKinnon and her family’s death. 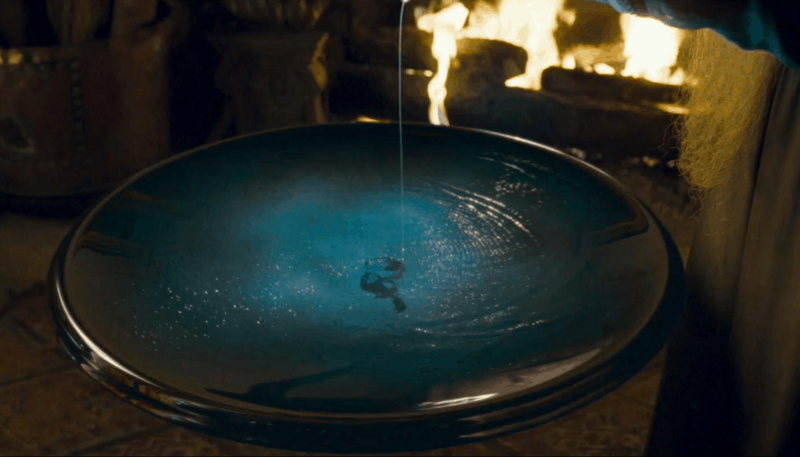 Something very similar to the Pensieve, which is used to visit memories, appears at the beginning of The Crimes of Grindelwald. In the meeting room of the Ministry of Magic, when Newt is invented to work with Theseus, the object is on the table in front of them. What makes us questioned whether that is actually a Pensieve is its function. In the film, the object is used to show Grindelwald and Credence when they are mentioned, and not to visit memories. In The Goblet of Fire, the Portkey has an important role when Harry and Cedric are transported to the cemetery after touching the Triwizard Cup. In The Crimes of Grindelwald, an old bucket is responsible for transporting Newt and Jacob from England to the French capital. The deathly hallow returns to Grindelwald’s hand in this movie. 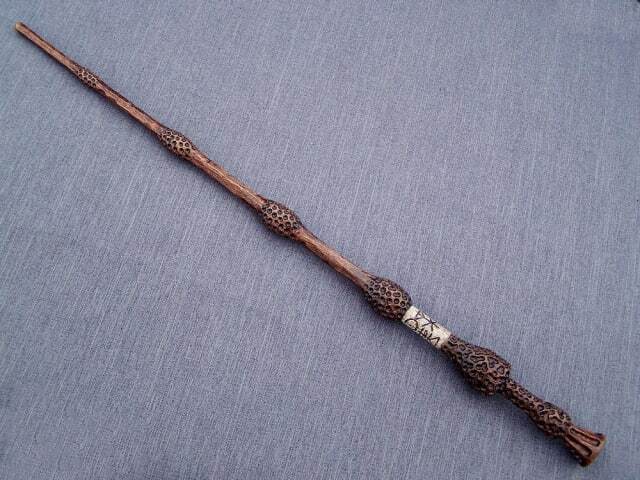 However, the wand is barely used, once Grindelwald does not like to get his hands dirty. The beasts, that transports the Hogwarts carriages and can be seen only by those who saw death, return in a long action scene, at the beginning of the film, to conduct the transfer of Grindelwald from MACUSA to England. 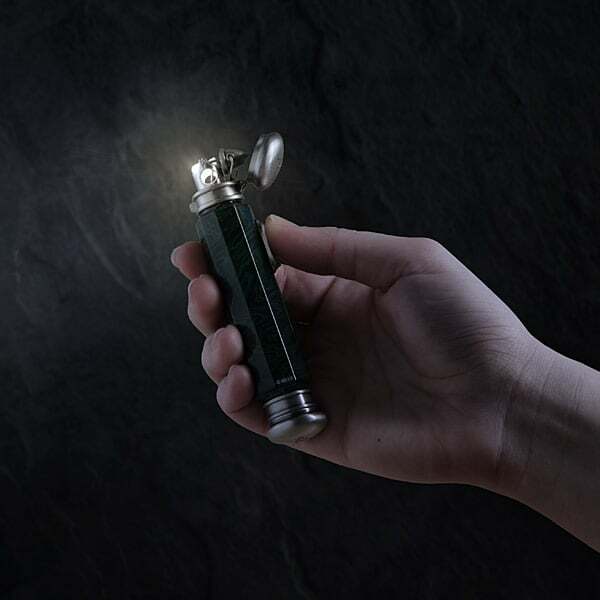 The object is used to absorb and keep light sources and will be in the future a gift from Dumbledore to Ron Weasley, appears in the trailer of The Crimes of Grindelwald, but it was cut off in the final version of the movie. In the trailer, Dumbledore uses the Deluminator to darken the streets of London streets when meeting Newt. The scene will probably be on the Blu-Ray extras, which may hit the stores in the first semester of 2019. Written by J.K. Rowling and directed by David Yates, Fantastic Beasts: The Crimes of Grindelwald hits the cinemas on November 16, 2018.